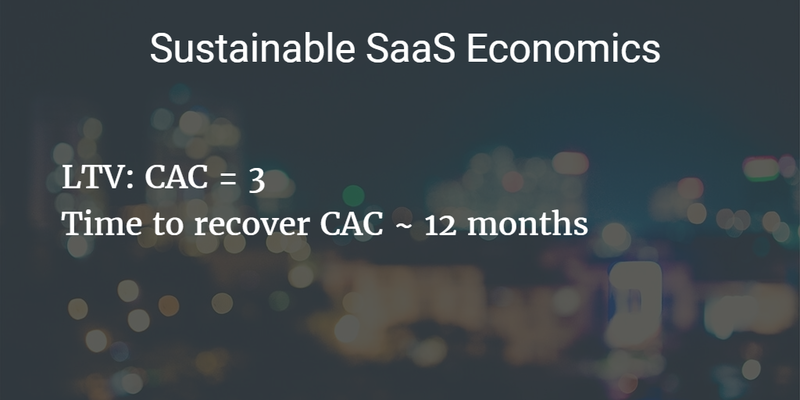 What is the formula to calculate ‘cost per acquisition’ for SAAS product with subscription revenue? Since you have mentioned one time set up fee I am assuming that you have an enterprise SaaS product. I am also assuming that you will have a high touch sales model, in that there’s someone who will follow up with the lead during or after the trial period over email/Skype and answer questions related to set up. Costs of apps and other services. Tally up all the costs involved with all these activities for a fixed time period, and divide them by the number of new customers you have acquired in that same amount of time. That will be your customer acquisition cost (that’s the easy way). If you want to go more granular, track the costs associated with each marketing channel, with every affiliate partner, every sales associate etc. For instance, you might discover in your website analytics that a well designed infographic which cost $500 sent you 10,327 visits to your home page. 10.3% signed up for a free trial, and out of that, 4% became paying customers. The second approach involves setting up analytics, measurement and testing, all of which falls under conversion rate optimization but is worth it to get more insights and make corrections. The thing with CAC, though is that the absolute number is meaningless.